Lately, I've been enjoying a new found love of stoneware and ceramics. There is something about the simplicity, amazing colors, and craftsmanship of every piece. I've wanted to learn more about the process and the many mid-century designers. 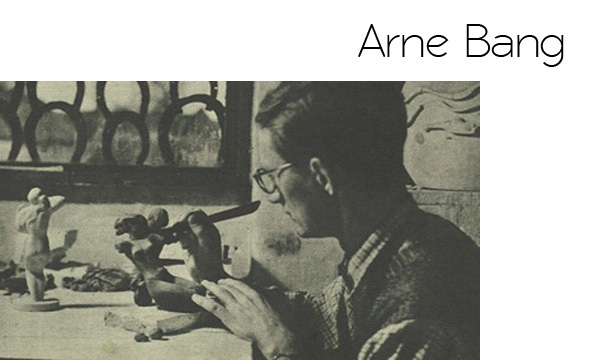 So for this week's desinger, Arne Bang was the perfect choice. 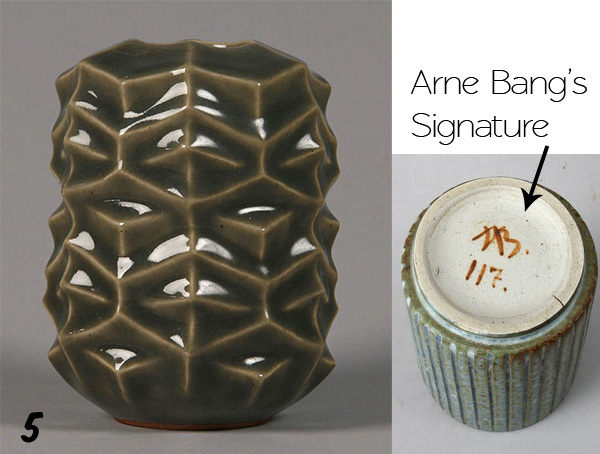 Bang lived 1901 - 1983, he was a Danish ceramist. 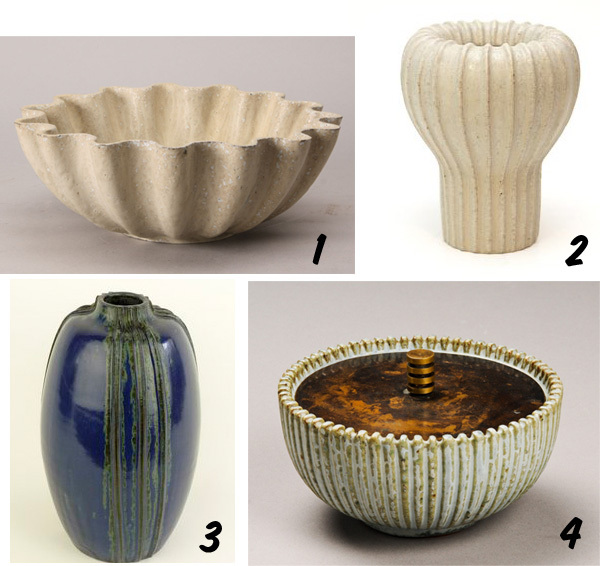 He was most recognized for his beautiful stoneware vases and bowls that were produced from 1930 - 1960. My favorite piece is this hexagon patterned vase. It feels so modern and something that West Elm would now make. All of Bang's pieces have his signature of "AB" on the bottom. These pieces are selling for many hundreds to thousands of dollars. I'm adding this signature to my repertoire of what to look for on the bottom of any stoneware pottery!